2. To promote the study of and reflection on our common faith and theological divergences. especially with regard to the nature and purpose and unity of the Church in the light of its mission. 3. To encourage shared worship and prayer, learning, service and evangelism with each Church sharing with others the treasures of its tradition. 4. To enable the Churches as they grow together in unity , to seek a common mind, to seek ways of sharing resources and to explore the possibility of common action. CityCoast Church (Christian Outreach Centre), North Street. Portslade St Nicolas and St Andrew and Mile Oak The Good Shepherd. St Theresa's Southwick with Portslade. The Baptist Church, South Street. The United Reformed Church, Station Road. 1. Each participating Church shall be represented by three members one of whom may be the Priest or Minister. 2. At its first meeting of each year the Enabling Committee shall elect a chairman, secretary and treasurer from within its membership. 3. Each member Church shall contribute an annual subscription for running costs, the size of this subscription to be determined each year. 4. The Treasurer shall submit audited accounts to the member Churches at the end of each year. 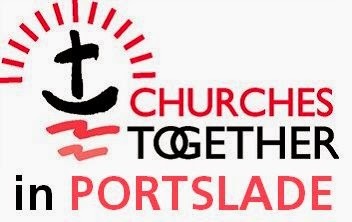 copyright: Churches Together in Portslade. Watermark theme. Powered by Blogger.